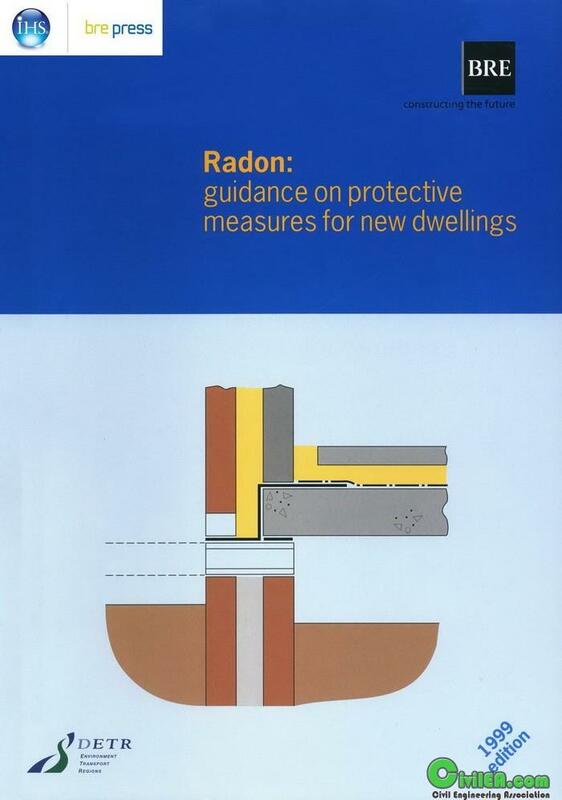 This report gives guidance for reducing the concentration of radon in new dwellings, hence reducing the risk to occupants of exposure to radon. It provides practical details on methods of protecting new dwellings. This 1999 edition of the report replaces guidance published in 1991 for Cornwall and Devon and revised in 1992 to include parts of Somerset, Derbyshire and Northamptonshire. The principal changes over previous editions reflect greater knowledge of radon-prone areas and the advances made in developing practical costeffective protective measures. In addition, the development of the protective measures and the monitoring of their effectiveness has indicated that the general approach to radon protection should be reconsidered and should embody the findings of this research. Radon is a colourless, odourless gas which is radioactive. It is formed where uranium and radium are present and can move through cracks and fissures in the subsoil, and so into the atmosphere or into spaces under and in dwellings (Figure 1). Where it occurs in high concentrations it can pose a risk to health. Whilst it is recognised that the air inside every house contains radon, some built in certain defined areas of the country might have unacceptably high concentrations unless precautions are taken. In the UK, the granite areas of South-West England are of principal concern, but high concentrations of radon are also found in some other parts of the country. Requirement C2 of Schedule 1 of the Building Regulations 1991 for England and Wales states that: ‘Precautions shall be taken to avoid danger to health and safety caused by substances found on or in the ground to be covered by the building’. The Approved Document states that: ‘The precise areas where measures should be taken to provide protection against radon are reviewed by the Department of the Environment, Transport and the Regions (DETR) in the light of advice from the National Radiological Protection Board as this becomes available’. The Approved Document refers to the present report for detailed guidance on where such protection is necessary and for construction details. Although this report offers guidance in support of the Building Regulations for England and Wales, the technical solutions described are equally applicable for use in Northern Ireland, the Channel Islands and other countries where construction methods are similar to those in the UK. Guidance for Scotland, based on this report, is in preparation. No guidance is currently supplied for suspended timber ground floors in new dwellings. The DETR is sponsoring research into how this form of construction could provide adequate protection against radon and will publish the results in due course. This guidance was not prepared for non-domestic buildings. However, protection from radon at work is specified in the Ionising Radiations Regulations 1985, legislation made under the Health and Safety at Work Act administered by the Health and Safety Executive (HSE). The technical guidance contained in the present report may be of use to designers and builders of new structures whose form of construction and compartmentation is similar to housing and where the heating and ventilation regime is similar to that used in housing. This is likely to include small office buildings and primary schools. Further information is contained in the HSE/BRE guide Radon in the workplace.